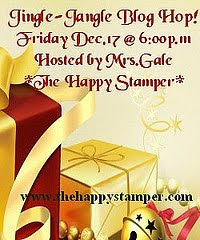 The Happy Stamper :): Mary's Mini Album Blog Hop! If you just got here from Michelle's blog, then you are on the right track. 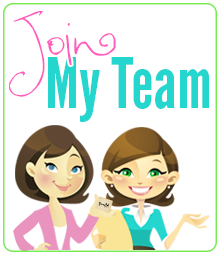 If you want to start at the beginning, then click here to go to Mary's blog. Thanks for "hopping" by today ~ I hope you are enjoying all the talented and hard work thus far, from this incredible Mini Album Blog Hop! Thank you again to Mary from Cardztv for inviting me to join in the festivities, I had a blast making this special mini for my favorite 4-legged friend in the whole world! Now... A blog hop wouldn't be complete without some blog candy to give-away ~ so I am doing just that! I am giving away a cute, new stamp set from Stampology!!! 1. Become a subscriber on my blog/if not already. It's that simple! So please subscribe and check back often for new ideas and stamp inspiration. 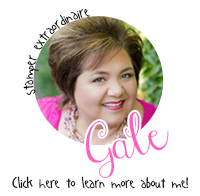 Your next stop on the blog hop is Sue's Blog! She is super creative and always full of fresh ideas. Click here to "hop" to Sue's blog! Your mini book is so adorable. Thanks for sharing pictures of Maggie. She is so cute. My daughter has a golden retriever too, they are special dogs. Have a great day. Your mini book is too cute and it would be so cute for my little fur babies. Thanks for the inspiration as always!! What an adorable mini book Gale. Maggie is well loved. 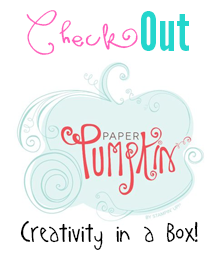 Oh a mini book blog hop I'm so excited. Great album and very sweet. I love all your things. Thanks for the hop and sharing your talents. Hi Gale. I love the mini. Perfect to display photos of your family, which of course includes our 4-legged members! Have a lovely day. Hi Gale, You have hit it out of the park again. I just got the perfect idea for my daughters Christmas gift. this! Ha. TFS. Gale--Just love your mini album and it would be just perfect for my family as we are also the proud owners of a big beautiful golden retriever named Brandy. She is a Daddy's girl, however. I subscribed to your blog. Thanks for sharing. Gale this is just too sweet. My Lady needs to have one of these made about her. Thanks for sharing Maggie with us not to mention all your talent. Love, love, love this album. And what's not to love about a golden retriever :-). My granddaughters just got a golden this last summer and I can see one of these albums in their future! TFS. Super cute mini, Great job love it! Thanks for the video. I now subscribe to your blog. Thank you for sharing. I love coming to your blog! We also had a Maggie (she was a Springer Spaniel)and I love your mini for your Maggie. It turned out so cute! Gale, what a beautiful mini album you did, thanks for share with us. So cute. Love the idea. Thanks so much for sharing. it's beautiful. Cute mini-album! Always need to show love to our four-legged friends :) Thank you for sharing! I am a subscriber and follower. Love your mini album. Thanks for the idea. What a great mini! I have 4 dogs and I need to make one for our puppies! Fun album! Love the dog bone idea. May have to "scraplift" this one. TFS! Supper cute! Really love how you honored a special member of the family. Super job as well. This is to cute!! I love the bone album shape. We had 2 goldens (Sawyer n Cody)but they are gone now. But we now have a red lab. (Cooper) I think this would be a great mini to make for him. Thanks for sharing! Cute mini album. Maggie is so lucky. This is an adorable mini album Gale! I love it :) Have a great day! Gale what a great mini. Awesome video. Wonderful video and beautiful mini!! This is just so darn cute! I have so many old pics of all of my loved dogs. What a great way to honor all of them. Such a sweet girl, Maggie, is! Love the bone shaped mini -- thanks as always for sharing your wonderful creativity with us! loved the mini!!! we sometimes forget a very important member of our families i think ill be making one!!! excellent album! I'm a new follower! Your little album is so sweet! We also have a precious little pet who is truly a member of our family! TFS!! That is so cute- my daughter would enjoy making something like this..
What a great job you did! It turned out so cute! Great mini album. Maggie is beautiful and this is a wonderful way to capture her. Thanks for sharing. OMG...what a cute book. I have a furbaby girl too!! This is a great idea. Thanks so much for sharing. Thanks for sharing such a great project. You have inspired me to make on for my little fur friend. Thanks for offering blog candy. Off to the next stop on the tour. Great album. TFS and the chance to win. wonderful mini album ! so cute ! thanks for the chance to win ! I love your voice Gale! You are a happy stamper. I would like to make a mini of my Siamese. Great mini. Super cute album! I finished one album of my dog, and now I have 3 more dogs to go! Great ideas from your video, thanks! Great mini! I need to make one for my two Chi's! Thanks for the opp! Gale I love the mini album! You have such a creative mind! Girl, you can create!! Your project is great. In fact, I like all your projects! I have dogs and would love to make an album like this!! What a great idea! Such a cute idea and album! I love that it's in the shape of a dog bone! Cute, cute album! TFS your talent - love your blog candy, too! This has been a great blog hop. I just really love your mini album. Thanks for sharing. Such a cute mini! Thanks for sharing! Adorable mini album for a beautiful dog! Thanks for sharing. Gale, what an adorable album you made for your beautiful Maggie! Bet you got a big "woof" and lots of kisses! Thanks so much for being in the blog hop today! You ROCK, girlie! Dog gone cute!!!!!! TFS and being part of the hop. I need to make a replica for my dog now! Very cute. Thanks. Maggie is such a cutie pie! I love your mini! I should make one for one of my pups! It is his 10th birthday today!!! He is a pom and his name is bandit! Thanks for sharing your creativity! I am a very happy follower of your blog! You are so creative. THank s for sharing your projects with us and for being part of this hop! I love my little dog! Adorable. Loved the shape and the papers are so cute! Very cute mini album. Very creative. TFS. Very cute doggie mini album! Love the shape. Did you cut that on the cricut or was it a pre-shaped book you purchased? Thanks for sharing. What an adorable album! Your fur baby is so cute! I want to make one for my little Shiloh now..I love the love you show your Maggie. What a gorgeous dog, love the mini, got an idea for an album for my brother who owns an animal rescue, great place to put all the happy story in. Thanks for sharing. Thanks for a change to win a new stamp set from Stampology.What an adorable album! Your fur baby is so cute. Aww love your doggie bone mini album!! So cute :) Thanks for the giveaway too! I am following and subscibed to your blog! Such a cute album! I love it! What a cute mini album! I love that it's shaped like a bone. so cute! Wish I had a dog so I could make one just like it! Love the mini. You are so very talented! I love the book you made with pictures of Maggie!! Just adorable. O HOW Precious I will have to do a KITTY one..:O) Thank U for sharing and doing the HOP!! Oh miss Gale...sooooo cute!!!! Your Maggie reminds me of my Spunky....he was my Golden Retriever growing up!!! Miss him to pieces...cant wait til my boys are a little bit older...we want to get another one!!!! What a cute doggy mini album. You have a beautiful dog. Thanks for sharing. cute! thanks for the chance! That is one cute album. I hope Maggie doesn't enjoy it TOO much (since she eats everything). LOL!!! Thanks for the chance to win. TFS! awww, how sweet! I love this little book! your baby is too pretty! I have 3 Shih-Tzu's, your mini album has given me some really cute ideas for a book for them. I am already a follower and an email subscriber, and I just LOVE your projects. A really cute album; thanks for sharing. I love the bone shape!! So cute your mini and your dog!! TFS!! Take Care!! Gale, this is such an adorable mini album. I love that you have put together one just on your pet, after all they have a way of becoming a big part of the family also. Just like another child. "Maggie" is so adorable & you can tell she is definitely a luv bug. This hop proves great things come in small packages ;) Love the minis! Thanks for sharing yours and for the chance to win. With a screen name like "debzdogz" you KNOW i'm lovin' your mini! ...and i am also a new subscriber! GREAT JOB! Really cute album. Loved it being the shape of the dog bone. The little charms are adorable. Great Job!!! Wow Gail!! This mini doggie album is so awesome and I would like to thank you for being part of this Very Inspiring and fun hop!!! I love your theme! I love doggies. What an awesome mini album you have... thanks so much for sharing! Oh my goodness I am so happy to meet you. I grew up in Downingtown Pa. King of Prussa was the favorite place to shop. I love your fun album and I have not heard of that company Boxers. I will have to check them out. Your album is wonderful!!! What a cute book. I love the bone shape book. This hope is so much fun. Come an visit if you get a chance. Your mini album is adorable and I cannot think of a better subject that your Maggie. I have become a follower and thank you for the chance to join in. great mini album. thanks for the ideas. thanks for sharing... very cute!!! What a wonderful mini album to share with our 4 legged family members. Gave me an awsome idea for our cat too. Thanks for sharing this mini. Maggie is a beauty. This will be a great project for my girls to work on with me. They will get a kick out of making a mini album for our pets. I really love the idea of doing something for my dog! Thanks for reminding me! Awsome mini album. Thanks so much for the inspiration. I love your mini album. Your dog is so beautiful. TFS!! Very cute album! I love Boxer's stuff...esp because they're local for me! I just love your wonderful mini album!